Its cast iron base ensures the stability necessary for holding relatively heavy optical heads. Moreover, it is able to receive the light generator of a lighting system for optical fiber. 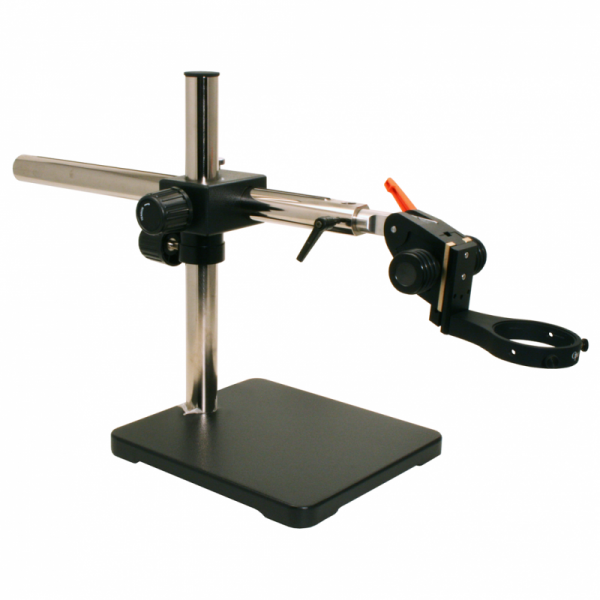 Coupled with an adjustable boom equipped with a focusing unit, this stand can be used in many configurations.